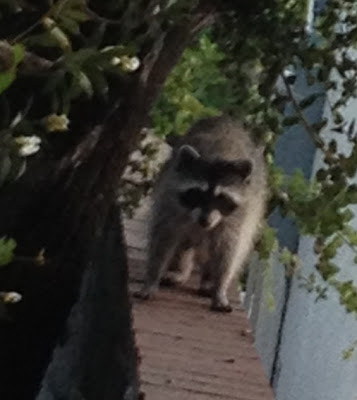 I don't go looking for spiders, but occasionally I do run into them. I've posted before about these orb weavers who hang out in the center of huge wheel shaped webs they build. They really are amazing. 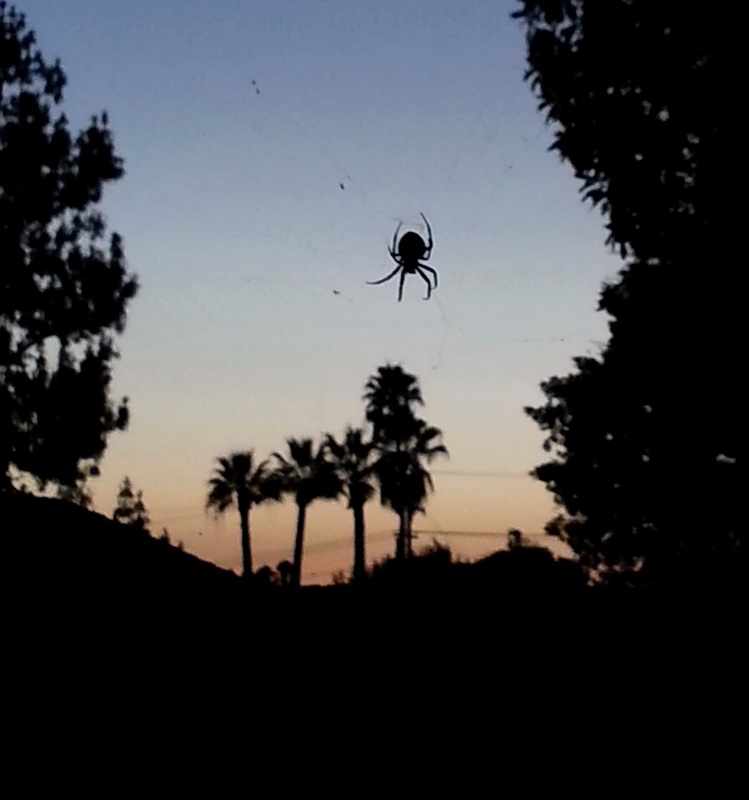 Last night this rather large orb weaver seemed to be descending down to some palm trees.